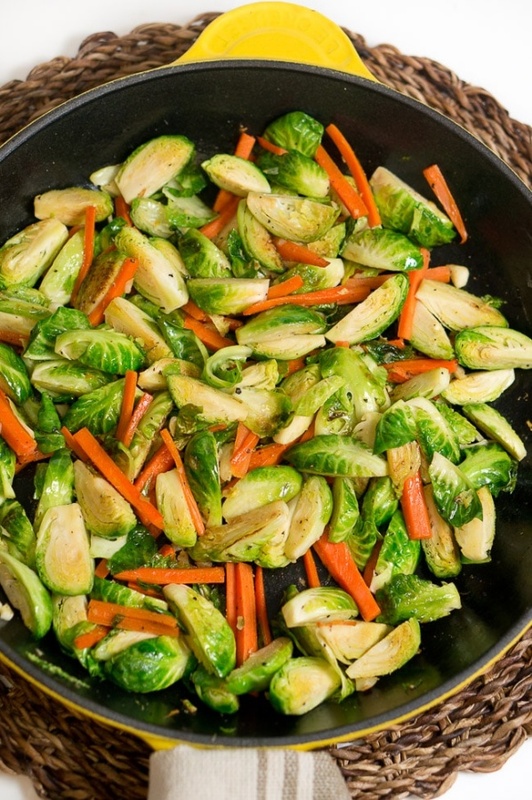 Sauteed Brussels Sprouts and Carrots - The carrots and Brussels sprouts are lightly sauteed in butter, salt, and freshly ground black pepper. It is very easy and simple. All you need is just 5 ingredients and no more than 10 minutes.